I recently came across SALT on an article in the medium will reading about The Coolest Blockchain Startups at Consensus. SALT will be launching in december. 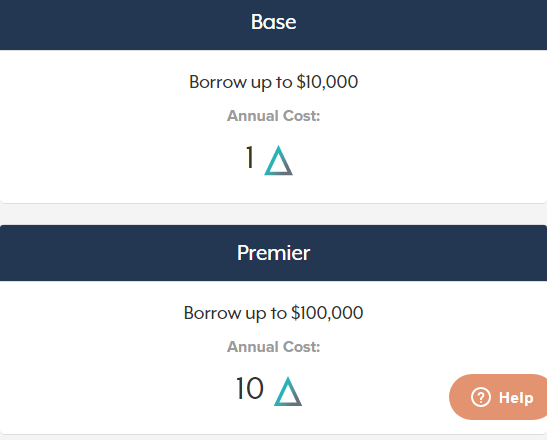 SALT Lending is a membership-based borrowing platform for blockchain-backed loans. SALT holds your crypto assets and pays out different fiat currencies, using KYC and AML screening and compliance measures. It’s a way to collateralize blockchain assets, manage repayments, and monitor activity without actually having to sell those coins you’d rather HODL onto. 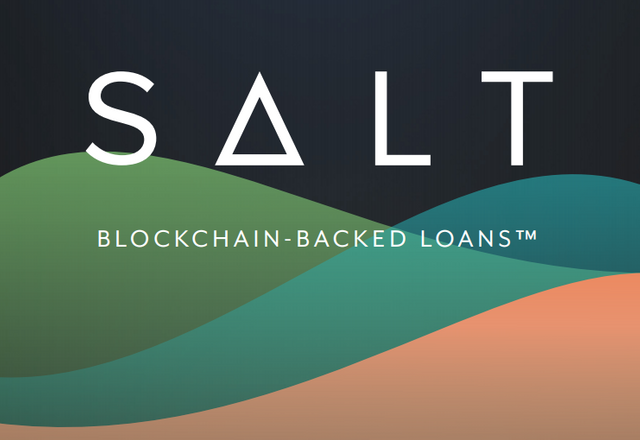 The SALT Lending Platform is designed to enable its Members to leverage their blockchain assets to secure cash loans, making it easy to get money to spend without having to sell their blockchain assets. SALT wants to make things simple for its Members. There are no origination fees, closing costs, or prepayment penalties on the fixed rate term loans arranged through the SALT platform. Members may elect at any time to pay off their loans early at no additional cost to them. This is in strong contrast to terms often offered by conventional lenders. Typically, conventional loans are accompanied by a myriad of itemized fees such as upfront origination fees, which can exceed 5% of the loan balance, and monthly servicing fees that are paid by the borrower on top of the monthly payments to the lender. SALT has opted for a simple model where fees charged to borrowers are rolled into an annual Membership to promote transparency and fairness. SALT Membership is an Ethereum-based Erc20 smart contract representing levels of access to the SALT Lending Platform. It can be redeemed for products and services and other rewards offered through the platform. A total fixed supply of 120,000,000 Membership units exist. 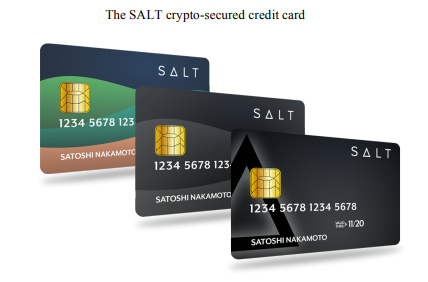 Demand for lending and borrowing on the SALT Platform will drive the demand for Membership. SALT Membership may be purchased with Bitcoin (BTC), Ethereum (ETH) or any cryptocurrency supported by ShapeShift. The final purchase price is determined when two confirmations have been recorded on the Bitcoin or Ethereum blockchain. No refunds will be issued for accepted Membership redemptions. 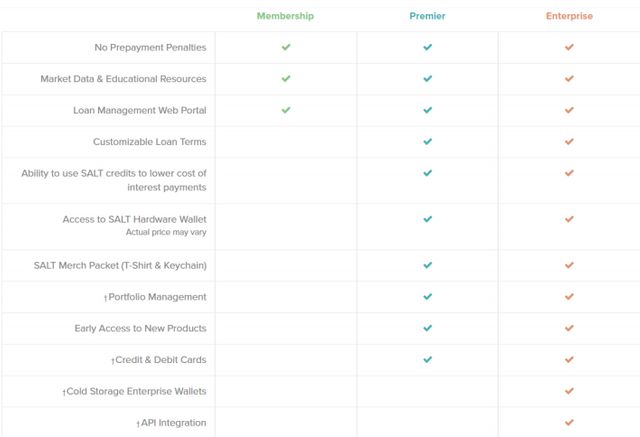 Membership pricing for the SALT Lending Platform is based on fixed quantity tiers. Digital currency payments that carry inadequate fees may experience an increase in price between their initiation of purchase and SALTLending’s confirmation. If using a payment processor that only allows a single unconfirmed transaction to remain pending at any given time, multiple purchases may result in delayed confirmation. SALT Lending will determine the exchange conversion rate for each purchase by aggregating price feeds from multiple exchanges, adjusting for volume, price variance, statistical outliers and inactivity. @geeadams, thank you for supporting @steemitboard as a witness. _Click on the badge to view your Board of Honor.